In our quest to eat more fruits and veggies, I’ve finally gotten around to joining the world of green smoothies. I have to say that I’m quite particular about my smoothies–I don’t like them to be too sweet, or too processed (protein powder, etc.). I’ve finally found a few recipes I love–mostly I’ve taken some and adapted them. One of the tricks to a good green smoothie is to limit the kinds of fruit. You want it to taste like something, not just a big mash of every fruit in the house. The other trick (for me) is to portion it down to make just one, so there’s less waste. So my smoothie recipes will serve one person, but can of course be doubled or tripled. 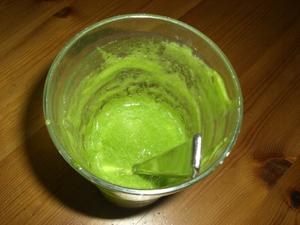 Put in blender: pineapple, lime, spinach and kale. By keeping the wettest ingredients at the bottom, it will blend up easier. Process on medium until incorporated, and then process on high until well blended. How long this takes depends on your blender. Add ice if you want. It will create more bulk, so it’s a good way to extend your smoothie. I like mine cold, but you can drink them at room temperature. Taste, and add liquid stevia as needed. I find this recipe is quite tart, and a little sweetness helps my kids enjoy it more. Smoothies are a great way to get several servings of vegetables and fruits, and I find it gives me a great energy boost in the morning. A trick I’ve found to get my kids to eat it–I pour the leftovers in Popsicle molds and freeze it. My 2 year old can’t get enough of the green-sicles! Tear (not cut) into pieces (don’t really care how big – not too little, not too big) the collard greens. You do NOT want the main rib of the leaf. This gets tossed in the hot grease. Add your onions, broken up pieces of bacon. I don’t use salt – but there may be enough salt in the grease anyway because of the bacon. I like to add in a little hot pepper – a little goes a long way – and this will “pick up” the flavor. Stir in grease well. Put a lid on it and keep on simmer flame for about 5 – 15 minutes – or long enough to make the collards get tender. Sautee some onion, add in your greens and toss. Add in any leftover meat you’ve got – I like to pretty well chunk up the meat. Add in some water (not a lot – the greens make a “liquour” or their own liquid too!) 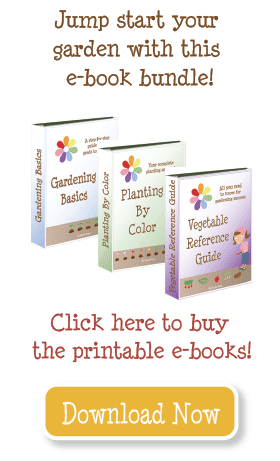 – maybe a cup or two if you use a crockpot. Cook together – and yes, this is a GREAT crock pot recipe – until done – and the greens are thoroughly cooked down. I like to cook all evening and overnight in the crockpot if I’m taking this to work the next day. The secret to this one is SLOOOOWWWWW cooking – which is why the crockpot is best! Add some apple cider or balsamic vinegar at the table (you can use lemon juice – but I like the apple cider vinegar for the “zing” it gives. Entirely different taste and texture from the first. And I’ve been noted to eat myself tall, small and out of sight on this! Re vitamin content – some of the vitamins – notably those destroyed by heat will be affected by any cooking. Other vitamins will be left. I’ll have to give this a go. I tried adding greens to my regular berry smoothy but it does something odd to the texture. Keeping the core in is a good idea as that is where you will find Bromelain. 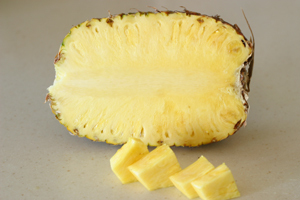 Bromelain helps digestion and is an antiinfalmitory.